TIP: The grape sauce makes a great addition to your stuffing recipe. Add the sauce plus 1 ½ cups raw grapes right into the stuffing for a great flavour boost. Combine all the dried herbs and spices to make a rub. Sprinkle generously onto the bird, inside and out. Stuff the cavity with grapes, garlic, shallots and fresh thyme. Place the turkey into your roasting pan. Add the turkey broth. Remove the turkey from the oven and let it rest for 30 minutes before carving. For sauce, combine grapes, olive oil, salt and pepper and herbs on a baking tray. Mix to combine. Roast at 350ºF (177ºC) for 25 minutes or until grapes are softened. Remove from heat. Add vinegar, maple syrup and olive oil. Stir to combine. Combine grape mixture with cranberry sauce. 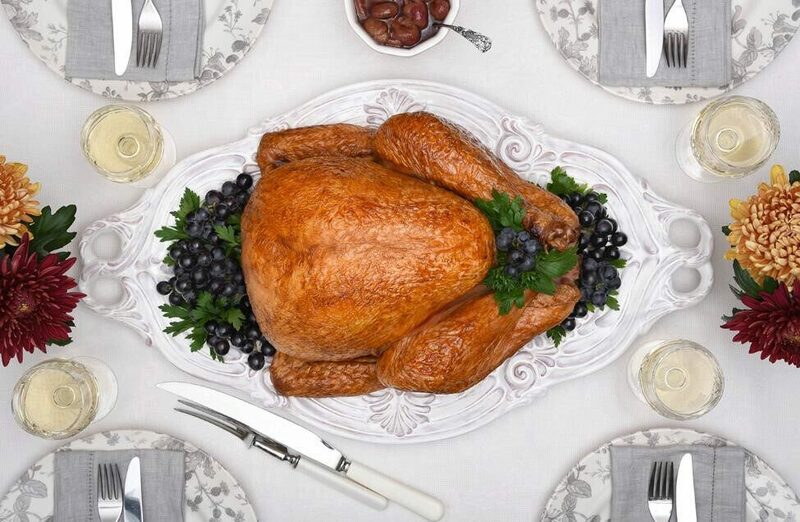 Serve alongside carved turkey.